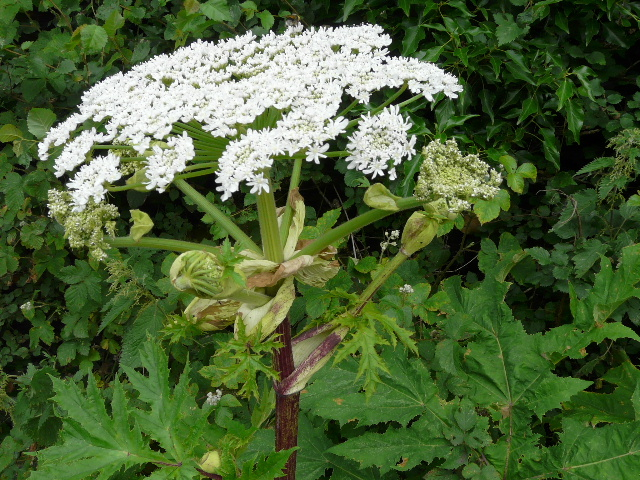 Some of you may have picked up the echo recently to see the article 'Britians most dangerous plant" - Giant Hogweed. 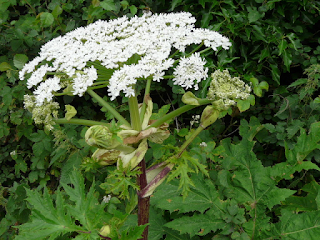 I have read a number of articles about the plant and seen warnings on social media which have contained photos of adults and children who have been blistered by the Hogweed, but I always thought that this toxic plant was found on river banks and canals. Well that was until we went to visit the SNC yesterday. When we arrived we started to talk to a distressed lady from the Dingle who has the plant in her back garden and it has caused severe blistering to her foot and the plant has spread to a number of neighbouring houses.